Books, food, music, internet, and coffee, what more could you want? 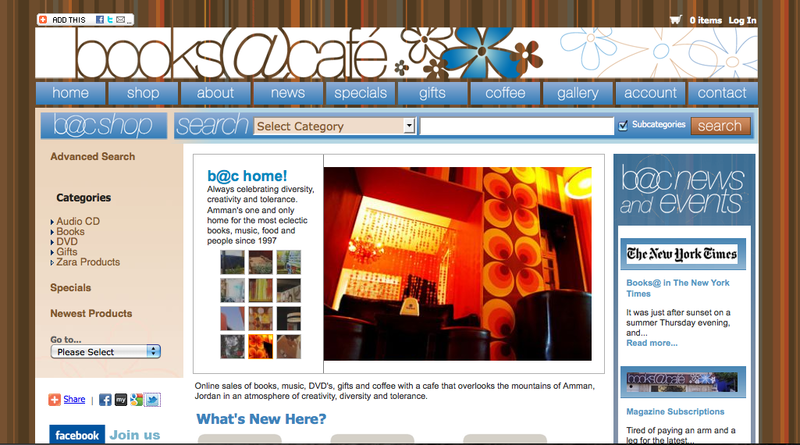 books@cafe, a From The Earth reseller located between Rainbow Street and downtown Amman opened it's doors in 1997 after the founders saw a need. The need was a place where people could come and relax with friends in an ultra-chic environment. The full founders story is on the books@cafe website. What came next was the books@cafe you see today. Here you can find excellent books, eclectic music, and delicious food. Enjoy the outdoor area in the spring and summer, and the chic interior in the fall and winter months. 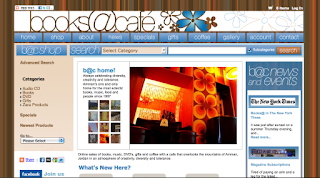 From The Earth is proud to have books@cafe as a reseller of our handmade, fair trade products. When you stop in to books@cafe with friends, check out the card rack loaded with fair trade cards handmade right here in Amman, Jordan.